Please note that the rates below do not apply for the December/January period. Please contact us for peak season rates. Ground Floor rooms have a double bed or 2 single beds, a private bathroom (shower only), a TV, a safe and a bar fridge. A complimentary continental breakfast is served in the morning. Cooked breakfast is R50/person extra. First Floor rooms have a King Size bed and a single bed, a private bathroom (shower only), a TV, a safe and a bar fridge. There is a private deck overlooking the Indian Ocean. 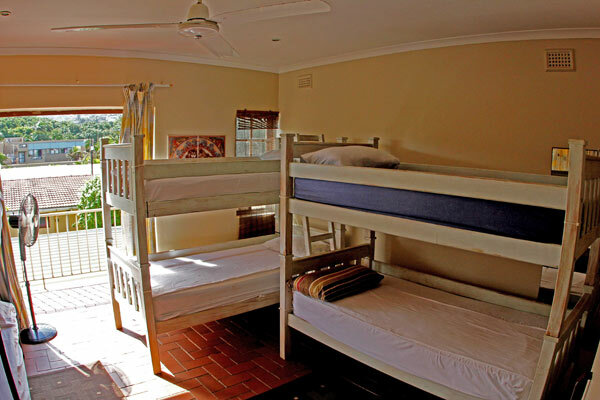 Our ‘Bunkhouse’ offers 4 – 6 bedded rooms. 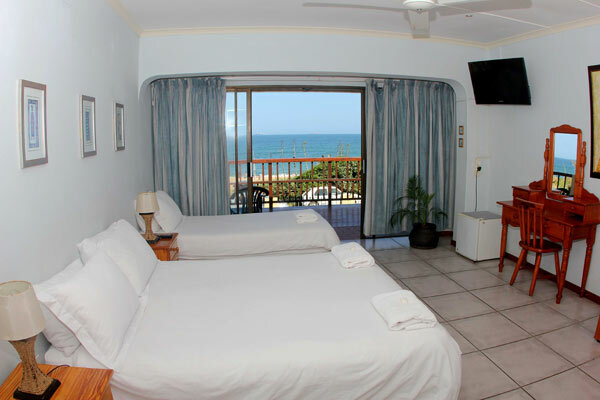 The rooms are air conditioned and each has a private bathroom (shower only). There are lockers available (provide your own lock). 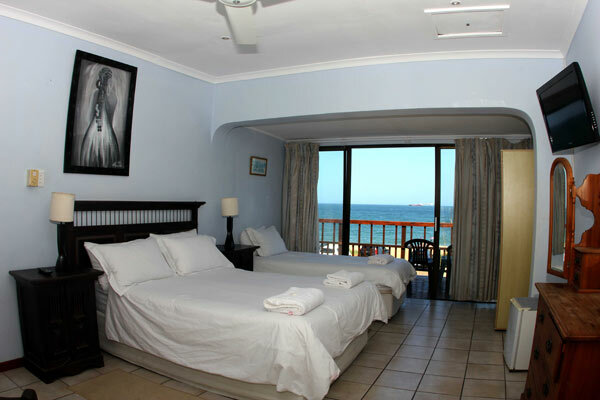 We have several beachfront self-catering apartments available. These must be rented for a minimum of 3 days. Each apartment has 3 en-suite bedrooms and can accommodate 6 guests. The apartments are fully furnished and air conditioned. We are able to take groups of +/- 40 guests. We can cater lunches and evening meals if required.